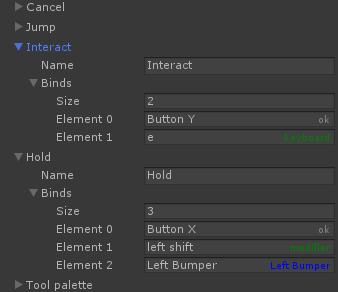 This is a simple wrapper built on top of the existing unity input system, created in order to add easier support for changing inputs while the game is running and multiple controller support. To install for use in Unity, copy everything from this repository to <YourNewUnityProject>/Packages/Popcron.Input folder. After that, add a Controls Manager component onto an object if one doesn’t already exist.